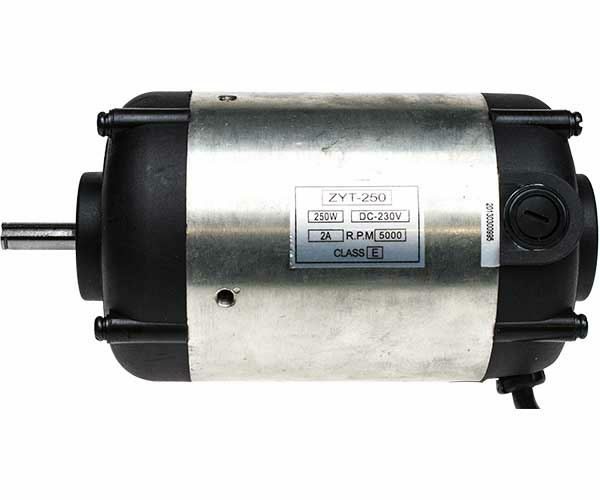 250W Brushed DC Motor - Type ZYT-250. Fixing is via two M6 threaded holes in body on 30mm centres. Drive Shaft: ø8 x 22mm with 3mm wide key and 2 circlip grooves.